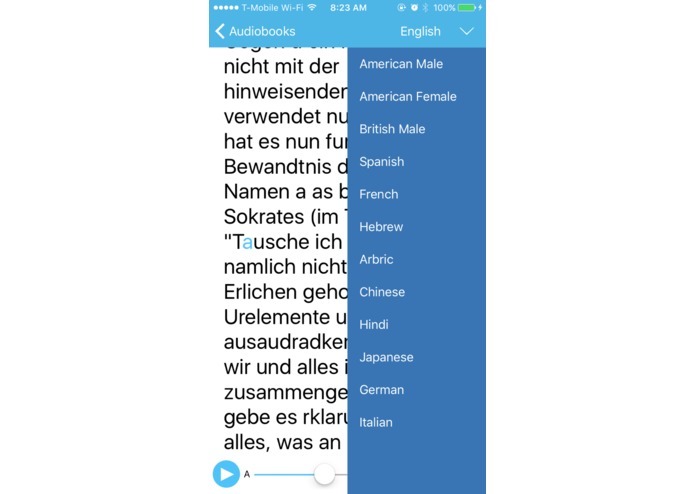 Turn a physical book into an audibook in other languages. Cliff is dyslexic, so reading is difficult and slow for him and makes school really difficult. But, he loves books and listens to 100+ audiobooks/yr. However, most books don't have an audiobook, especially not textbooks for schools, and articles that are passed out in class. This is an issue not only for the 160M people in the developed world with dyslexia but also for the 250M people with low vision acuity. After moving to the U.S. at age 13, Cliff also needed something to help him translate assignments he didn't understand in school. Most people become nearsighted as they get older, but often don't have their glasses with them. This makes it hard to read forms when needed. Being able to listen instead of reading is a really effective solution here. 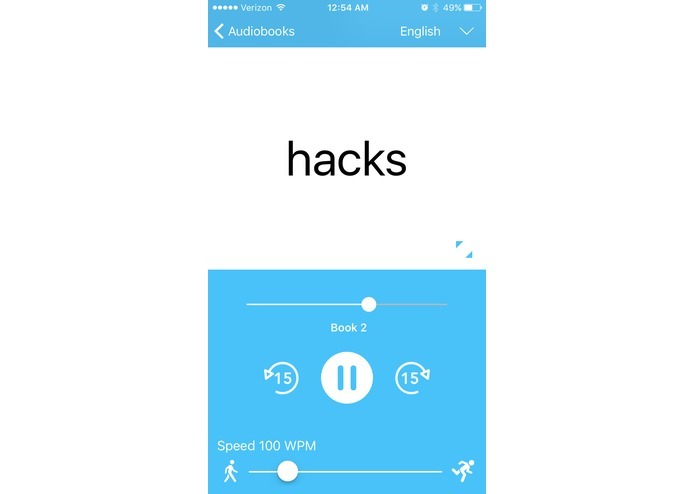 Audiobook maker allows a user to scan a physical book with their phone to produced a digital copy that can be played as an audiobook instantaneously in whatever language they choose. It also lets you read the book with text at whatever size you like to help people who have low vision acuity or are missing their glasses. In Swift and iOS using Google ML and a few clever algorithms we developed to produce high-quality scanning, and high quality reading with low processing time. We had to redesign a lot of the features to make the app user experience flow well and to allow the processing to happen fast enough. We reduced the time it took to scan a book by 15X after one design iteration and reduced the processing time it took to OCR (Optical Character Recognition) the book from an hour plus, to instantaneously using an algorithm we built. 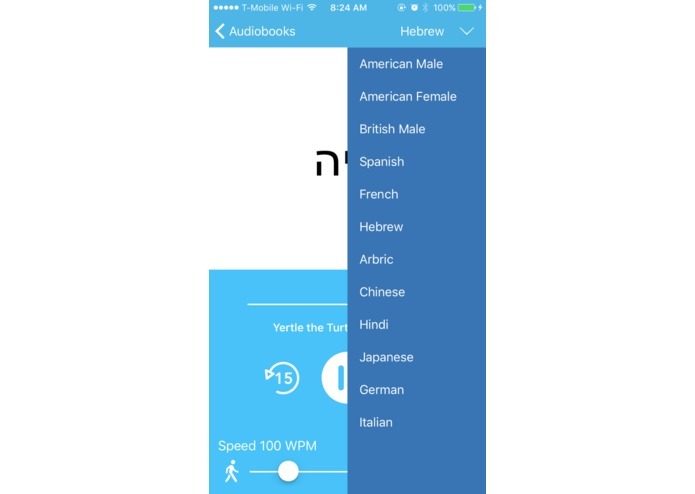 We allow the user to have audiobooks on their phone, in multiple languages, that take up virtually no space on the phone. How to work with Google ML, how to work around OCR processing time. How to suffer through git Xcode Storyboard merge conflicts, how to use Amazon's AWS/Alexa's machine learning platform. Deployment and use across the world by people who have Dyslexia or Low vision acuity, who are learning a new language or who just don't have their reading glasses but still want to function. We envision our app being used primarily for education in schools - specifically schools that have low-income populations who can't afford to buy multiple of books or audiobooks in multiple languages and formats. 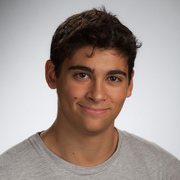 treehacks education Verticle > personalization > learning styles (build a learning platform, tailored to the learning styles of auditory learners) - I'm an auditory learner, I've dreamed a tool like this since the time I was 8 years old and struggling to learn to read. I'm so excited that now it exists and every student with dyslexia or a learning difference will have access to it. treehacks education Verticle > personalization > multilingual education ( English as a second-language students often get overlooked, Are there ways to leverage technology to create more open, multilingual classrooms?) Our software allows any book to become polylingual. treehacks education Verticle > accessibility > refugee education (What are ways technology can be used to bring content and make education accessible to refugees? How can we make the transition to education in a new country smoother?) - Make it so they can listen to material in their mother tongue if needed. or have a voice read along with them in English. 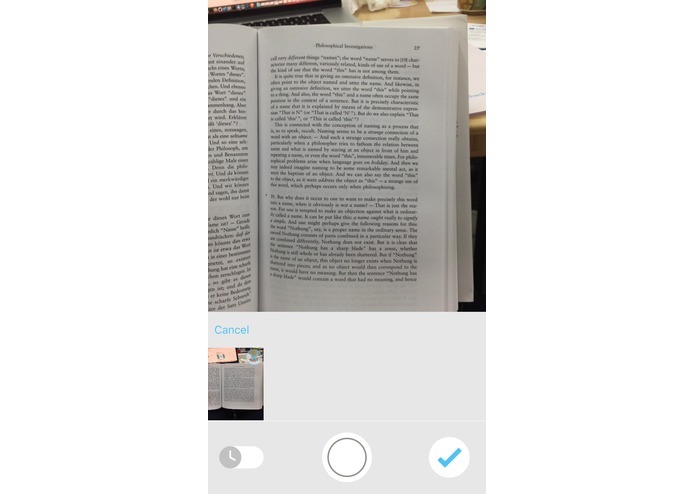 Make it so that they can carry their books wherever they go by scanning a book once and then having it for life. treehacks education Verticle >language & literacy > mobile apps for English literacy (How can you build mobile apps to increase English fluency and literacy amongst students and adults?) -One of the best ways to learn how to read is to listen to someone else doing it and to follow yourself. Audiobook maker lets you do that. From a practical perspective - learning how to read is hard and it is difficult for an adult learning a new language to achieve proficiency and a high reading speed. To bridge that gap Audiobook Maker makes sure that every person can and understand and learn from any text they encounter. treehacks education Verticle >language & literacy > in-person learning (many people want to learn second languages) - Audiobook maker allows users to live in a foreign countrys and understand more of what is going on. 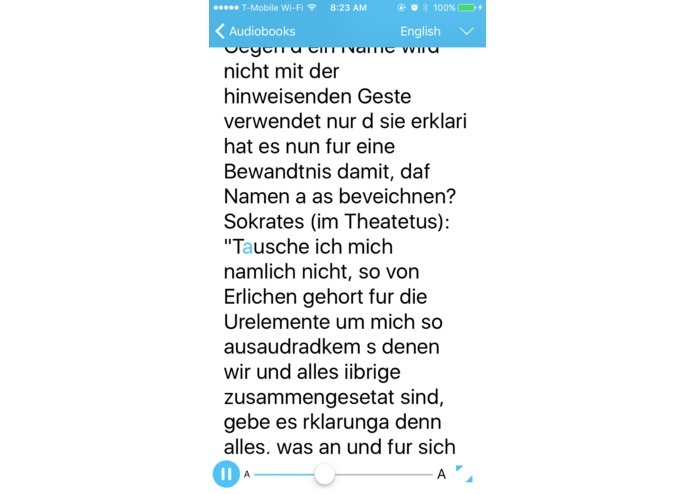 It allows users to challenge themselves to read or listen to more of their daily work in the language they are trying to learn, and it can help users understand while they studying a foreign language in the case that the meaning of text in a book or elsewhere is not clear. We worked a lot with Google ML and Amazon AWS.